The latest series in the Spring Craft Blog Hop is already being filled with lots of wonderful craft ideas! 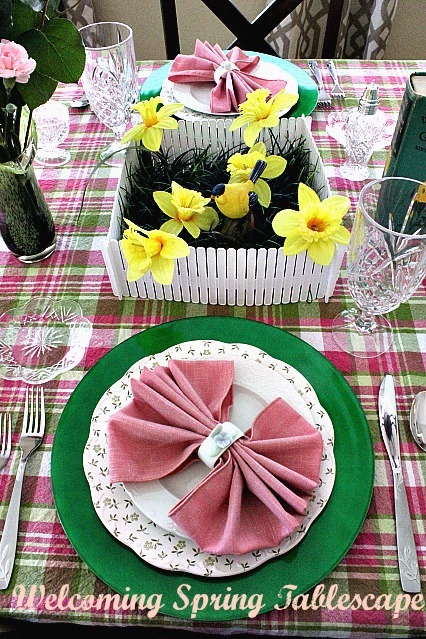 If you're looking for some Easter decorating inspiration, you'll find plenty of it here. We're enjoying visiting lots of new to us blogs and also seeing some of the great creations from those we already love. Each weekend, we're choosing a few of our favorites to highlight. Please visit these lovely blogs and let them know you're stopping by from #SCBH2015. This photo only shows part of this lovely tablescape. for metal embossing. The details on these flowers are amazing! 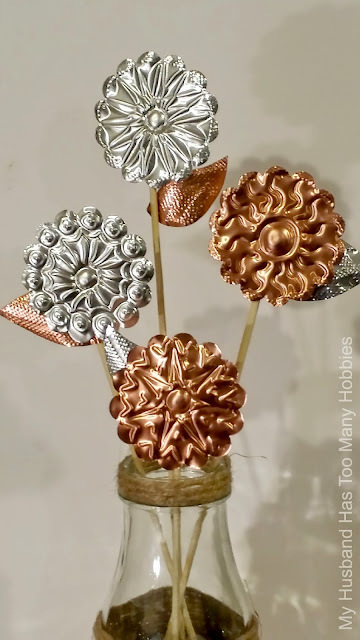 You'll find very clear tutorials for these projects when you stop by her blog. This bunny is such an eye catching decor piece. of how she made this budget friendly bunny. We're going to stop with four favorites for this because we could just keep going and going! There will be more to come next Saturday. If you want some ideas for creative ways to decorate eggs, over ten different egg decorating crafts have been shared. From those that the kids can decorate to glitzy gold painted eggs, to patchwork fabric, to yarn and even chalk paint, you'll find something to love! We can't wait to see more creative spring crafts over the next week! 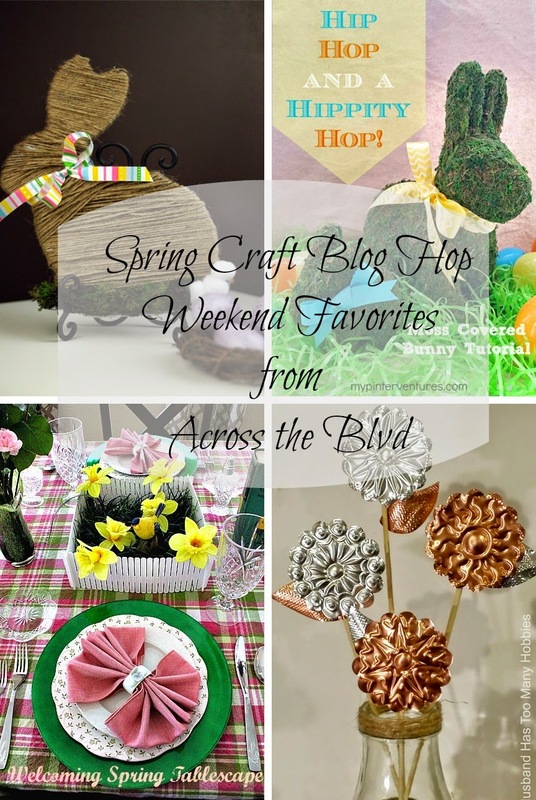 Please visit the Spring Craft Blog Hop, check out the link ups and come back and share your own with us. Thank you so much Beverly for featuring my little flowers! You're welcome! They are gorgeous. I was trying to decide which pattern I like best of all. I think it's the lower silver one. All of them impress me! Thanks for including my moss bunny and being such a great #SCBH2015 host! You're most welcome, Erlene! I love it. I've been looking around my house trying to see if I have a spot for one of my own! Thank you, I'm enjoying co-hosting #SCBH2015.